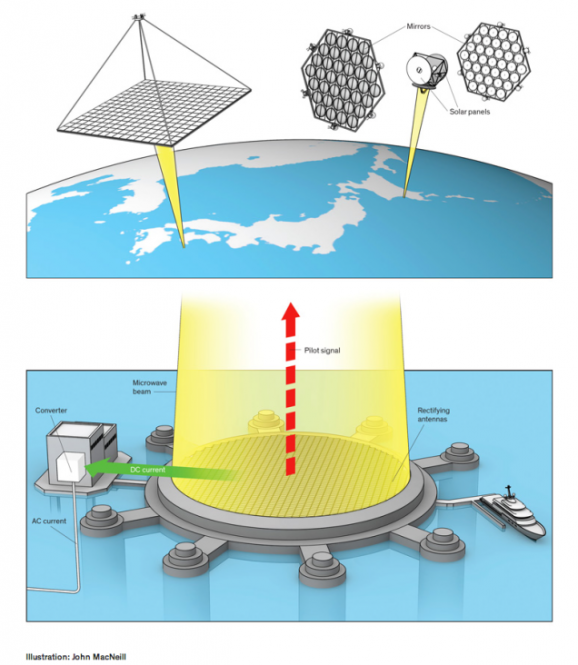 About six months ago GFR reported on a Japanese corporation’s plan to put a ring around the moon to capture solar power. While that sounds cool, I’m not entirely sure it’s feasible. But that’s not Japan’s only plan for harnessing the sun’s energy. The Japanese Aerospace Exploration Agency (JAXA) has formally proposed to build an “orbital solar farm” — a platform that orbits Earth and converts solar radiation into electricity. The platform would then send the energy back to Earth, likely with laser beams. JAXA has outlined a road map for their proposed system, which could become operational within the next 25 years. The first microwave transmission hardware test is slated for 2018, in which JAXA will gauge the efficacy of the sending those transmissions back to earth. By the 2030s, they expect to have a prototype that will allow for a system that can generate as much energy as a nuclear power plant. Not only would this solve terrestrial energy problems, but it’s also much more efficient than solar- and wind-powered farms on land. 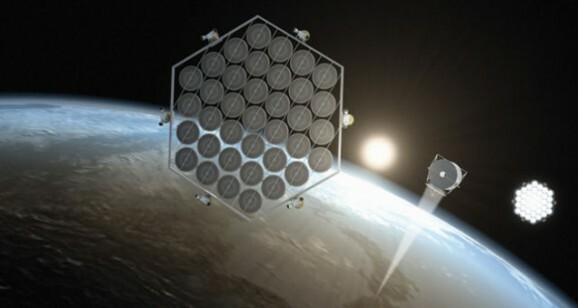 In space, solar power can be gathered round the clock. Sure, it’ll cost a lot to develop the technology and get it up there, but JAXA maintains that once the front-end costs have been met, orbital farms won’t take much funding to maintain — much being a relative word, of course. There are definitely some technological challenges to solve, and JAXA will need the help of scientists around the world to make their proposal a reality. And while certain organizations have an interest in maintaining human dependence on oil and fossil fuels, the availability of nearly limitless energy could ultimately make the world a more peaceful and healthy place. Or we can wait for AIs to figure out how to solve the energy crisis. Actually, I think this is based on a book I read, called “Space Doctor”. It was about a doctor who spent his life trying to save the men and women who were building a space platform designed by harness the solar energy of the sun. It was a wonderful story, and one that could conceivable come true. It wasn’t so much science fiction as the possibly of scientific truth. Our technology is growing and we sorely need this energy.